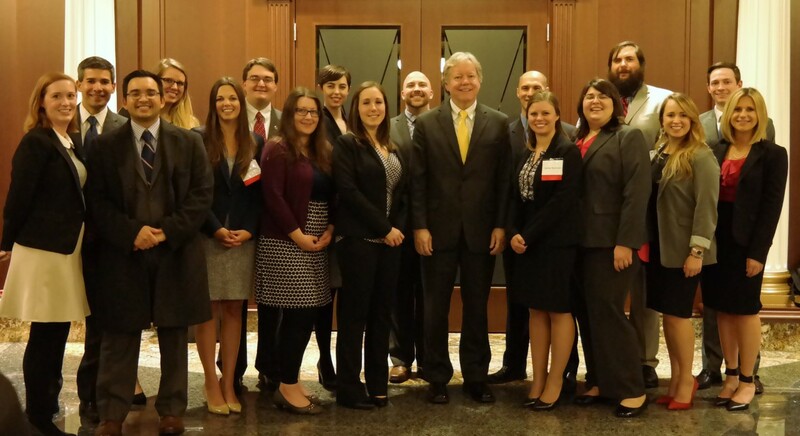 On January 11, the Belmont Law Review hosted Justice Roger A. Page of the Tennessee Supreme Court as a part of its annual Judicial Perspectives series. Page was the first justice to go through the nominating and approval process for the Tennessee Supreme Court since the state’s constitution was amended in 2014. He spoke about his experience in the position and advised the law students on working as a law clerk. He also advised the attorneys in attendance on practicing before the Tennessee Supreme Court. The event was moderated by Belmont College of Law Professor Jeffrey Usman. The Belmont Law Review is a student-managed, student-edited scholarly journal published annually in the College of Law. Each issue contains articles from law professors and practitioners as well as notes from current law students. The group also hosts an annual symposium on a topic significantly impacting the legal community.